When it comes to commercial refrigeration there are two main forms of units that can be installed, self-contained and remote. Both provide suitable and efficient solutions for a wide range of commercial refrigeration needs and yet both have their pros and cons depending on what exactly your cold storage project requires. In the rest of this blog, we’ll take a look at both forms of units outline how they work and what the pros and cons of both are. 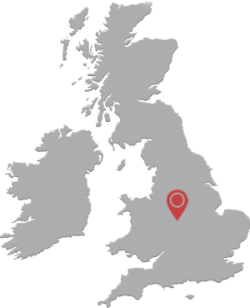 If you wish to discuss your specific cooling needs, then click here and let one of our experts give you a call to discuss your requirements. Self-contained refrigeration systems are used in most commercial cooling solutions. The system works by having all aspects from the condenser to the evaporator built within the cabinet of the refrigeration unit. Here the evaporator will always be found at the top of the unit, while the condenser can be located anywhere within the unit, with the two aspects connected via tubes, to carry coolant throughout the system ensuring consistent temperature for the storage of produce. This form of refrigeration is extremely convenient allowing a simple ‘plug and go’ solution making it suitable for a whole host of cooling needs. +Due to the units encasing the entire system only one purchase is required. -Can have an increased impact on the electrical bill. + Separating condenser and compressor from the refrigerating cabinet helps reduce noise and temperature. + Tend to offer larger internal storage space than self-contained units. -Involve more work to install, service and maintain. So, there you have it, everything you need to know about self-contained and remote refrigeration units, from what they are, where they work best and what the pros and cons of each type of cooling units are. If you’d like to speak with one of our experts, then you can request a callback and one of our team will be happy to discuss you and your businesses exact cold storage needs.